Native to the high Arctic tundra and northernmost stretches of Alaska, Northern Canada, and Eurasia, record-breaking populations of migrating Snowy Owls have taken refuge across the state of Missouri. The region combines spectacular scenery and diverse habitats for migrating Snowy Owls, from rolling hills and lush meadows to forested slopes and ancient mountain peaks. These nomadic birds prefer treeless and wide-open spaces, making Missouri’s vast stretches of rolling terrain and open pasture optimal for hunting. Although, well-adapted for life north of the Arctic Circle, and colored for camouflage during northern winters, migrating Snowy Owls rarely make an appearance in the Midwest. The sudden rise in numbers signifies a food shortage in the arctic range, Snowy Owls last appeared in Missouri and Kansas in noticeable numbers during the winter of 2011-2012. “This is an irruption likely tied to a drop in the lemming population in the Arctic this summer and fall,” said Mark Robbins, an ornithologist at the University of Kansas who also works with Audubon Christmas Bird Counts in Missouri. If you’re hoping to catch a glimpse of these beautiful birds while they are migrating, Snowy Owls prefer extensive agriculture fields and terrain devoid of trees which closely resemble the Arctic tundra they are accustomed to. They can be 20-25 inches long with wingspans of 4 1/2 to 5 feet. Many juvenile birds have a darker coloring and may look even blackish. The Snowy Owl is a patient hunter that perches and waits to identify its prey before soaring off in pursuit, so they are commonly seen perched on high points such as fences, telephone poles, and the tops of buildings. Make long-lasting holiday memories this winter season by visiting one of these charming Midwest Farms. One of the hallmark experiences of the holiday season is piling the family in the car, taking a one-tank-trip to a local farm, and finding the perfect tree for your home. These beautiful Missouri farms cultivate as many memories as trees with a variety of winter activities including sleigh rides, hay rides, light displays, and more! Nestled in the scenic bluffs overlooking the Missouri River, this gorgeous 86 acre farm has been in operation for over 100 years. Come spend the day in the outdoors. 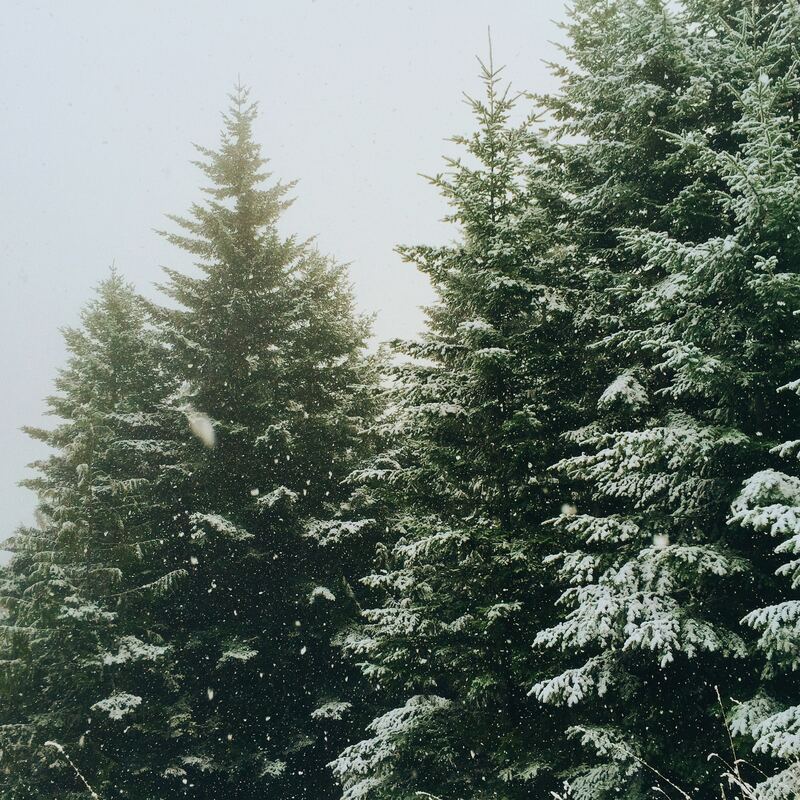 Enjoy the fresh air, wildlife, and take home a high quality real tree. Schweizer Orchards has White Pine and Scotch Pine fields where you can cut your own tree down, or choose from a variety of pre-cut trees. Warm up inside with hot apple cider or hot cocoa while they shake, wrap, drill, and load your tree! 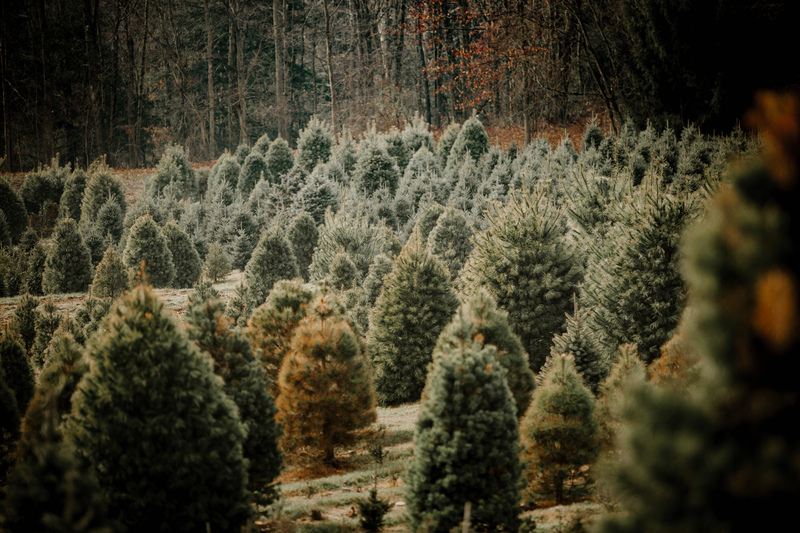 Set in the rolling hills along the Missouri River, Pea Ridge Forest began as a small Christmas tree farm over 70 years ago, and is one of the largest choose-and-cut Christmas tree farms in Missouri. The farm grows Scotch and White pine, as well as, Norway spruce and will provide a saw to make quick work of your choice. Once you have picked out your tree, they will shake and bale your tree to reduce needle drop and to make transportation easy. Back at the barn, the warm fire in the massive stone fireplace will warm you as enjoy homemade baked goods, warm drinks, kettle corn, and, perhaps, a little wine from the local wineries. Start with a relaxing drive through the beautiful rolling hills surrounding the Missouri River. When you arrive, you and your family will enjoy a hayride to and from the growing fields where you will select just-the-right live Christmas tree and cut it yourself. Santa will be there to greet the kids on the weekends and the farm’s holiday shop will be packed with wonderful ornaments from all over the world as well as handmade wreaths and bows. Choose from a diverse selection of evergreen and deciduous trees which are wholesaled as balled and burlapped trees to landscape companies and retail garden centers. In the foothills of the Boston Mountains, Ozark Valley Christmas Tree Farm offers a superlative combination of winter festivities. A gift shop serves up winter treats, which are a perfect snack while exploring the many activities throughout the farm. Cut your own Christmas tree, take a hay ride, choose a fresh wreath, pick up some unique gifts in the gift shop, make crafts with your kids in the barn, get your family pictures taken by the on-site photographer, drink hot chocolate, enjoy the Christmas lights, have a sweet treat, and make memories! This well-loved farm is one of the most popular winter destinations near Kansas City. 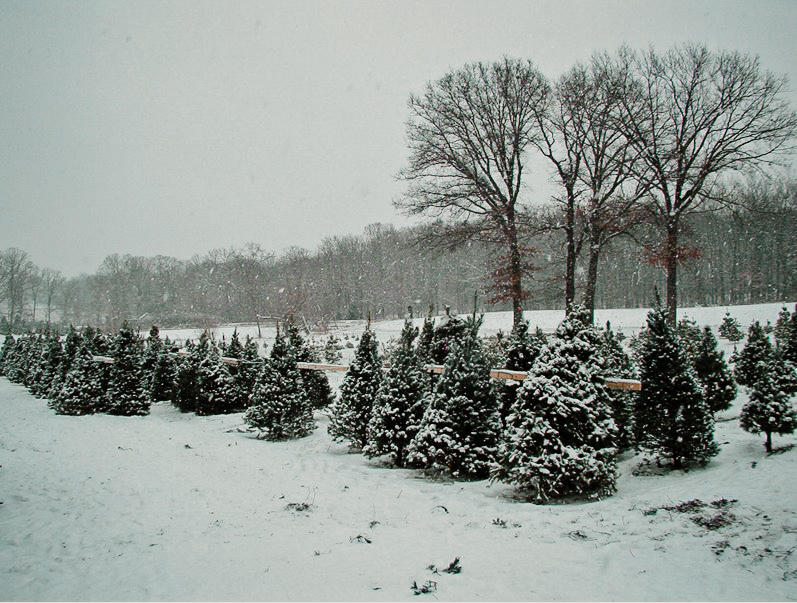 With over 14,000 Scotch, Red, Austrian and White Pine Christmas Trees and pre-cut Fraser fir, Canaan fir, Balsam fir, Concolor fit, and Blue Spruce Christmas Trees, Pumpkins and Pines is one of the top destinations for cut-and-choose Christmas trees. Enjoy the many free activities on the farm including hay rides and hot chocolate while they shake, bale, and attach your tree to your car. Visit their Christmas shop warmed by a vintage wood stove and enjoy the many selections of handmade wreaths, treats, decorations, and gifts. This scenic farm has been in operation for over 30 years, and it’s the perfect place to enjoy the picturesque backdrops and quaint countryside this Winter. In addition to their wide selection of Christmas trees, you can shop at their heated gift shop filled with Christmas decorations, ornaments, beautifully decorated trees, homemade treats, and handcrafted live wreaths! Also, try their hot spiced cinnamon apple cider and hot cocoa. The Christmas tree shop & lot will be open November 18, 2017 from 10 a.m. – 5 p.m. on the weekends, and 1 p.m. – 5 p.m. on the weekdays. Warm up inside the heated gift shop, where the staff will give you helpful Christmas tree decorating tips. If you are interested in stopping by at a time not listed, feel free to contact them to make an appointment.